Are you looking to buy a new car on a used car budget? Then be sure to take a look at our selection of like-new Toyota models when you buy a Certified Pre-Owned Toyota at our Toyota dealership in San Marcos, TX. We have plenty of CPO Toyota models for sale, so you can buy a Certified Pre-Owned Toyota RAV4 or a CPO Toyota Camry and take home the vehicle you’ve been eyeing. 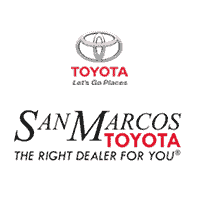 From our thorough inspection process to a Toyota certified warranty that gives you peace of mind, there’s plenty of reasons to buy a CPO Toyota at San Marcos Toyota! To earn the CPO label, a pre-owned Toyota must meet a long list of requirements to ensure it’s of the highest quality. First, a used Toyota must pass a meticulous 160-point assurance inspection and must be reconditioned to manufacturer standards by factory-trained Toyota service technicians. This way, you can ensure that every CPO Toyota on our lot is ready to be driven without any issues. When you come to look at a Certified Pre-Owned Toyota from our dealership, you’ll get a free CARFAX® Vehicle History Report™ as well, so you can know all about the CPO Toyota you love before you begin going over your Toyota financing options. Once you’re ready to explore your Toyota certified finance options, a member of our team can help you. You’ll enjoy standard new-car financing rates, allowing you to secure the auto loan that’s right for your situation. And if you have any questions about CPO Toyota financing, our finance professionals can answer all your questions. You’ll receive one year of roadside assistance when you buy a CPO Toyota. You’ll enjoy a seamless financing process, as we can make it easy and even get the DMV paperwork completed on your behalf. *The Limited Comprehensive Warranty expires at the earlier of 12 months from the date of Toyota Certified Used Vehicle purchase or when 12,000 miles have elapsed from the vehicle’s odometer on that same date of purchase. Covers any repair or replacement of components which fail under normal use due to defect in materials or workmanship.